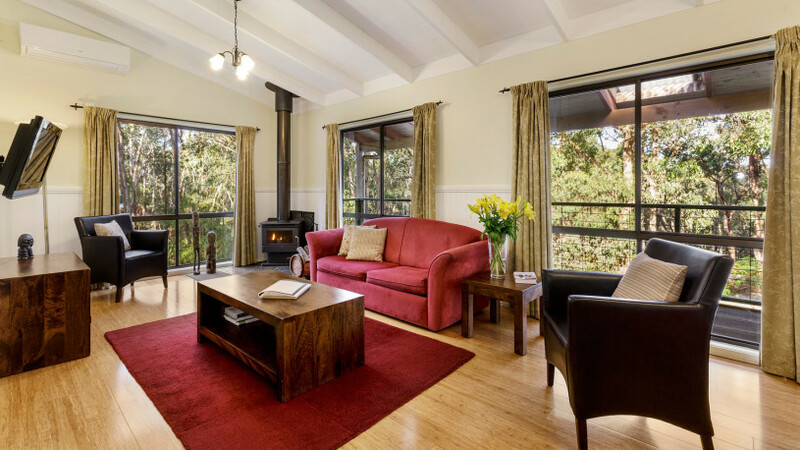 Feel the warmth and welcome of the glorious Australian bush with this wonderfully appointed Otway Ranges self contained cottage. 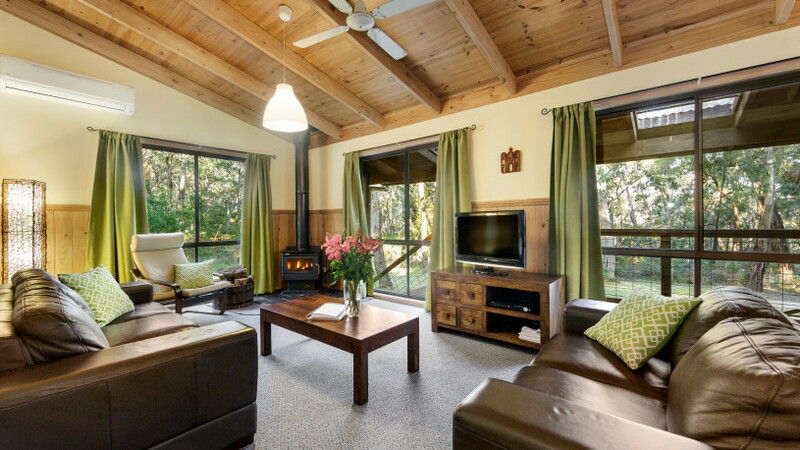 Decorated to reflect its magnificent bushland environment, you will delight in the cosy eco atmosphere of Ferny Reach cottage. 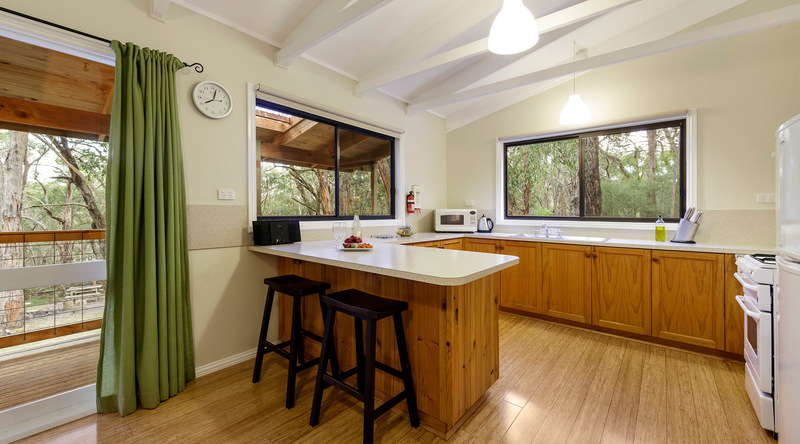 Featuring 2 bedrooms, this self contained cottage sleeps up to 5 people. 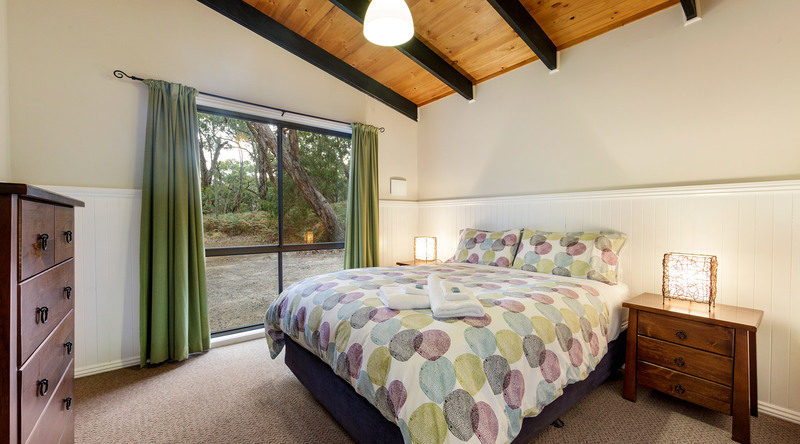 It has a queen sized bed in the Master and a set of bunks and a single bed in the second bedroom. Boasting a huge fenced yard for your children and dog’s freedom and your peace of mind! 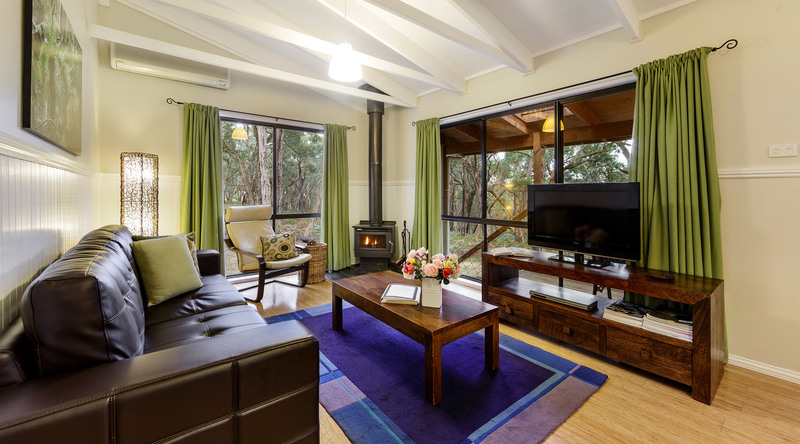 True family and Otway Ranges pet friendly accommodation! 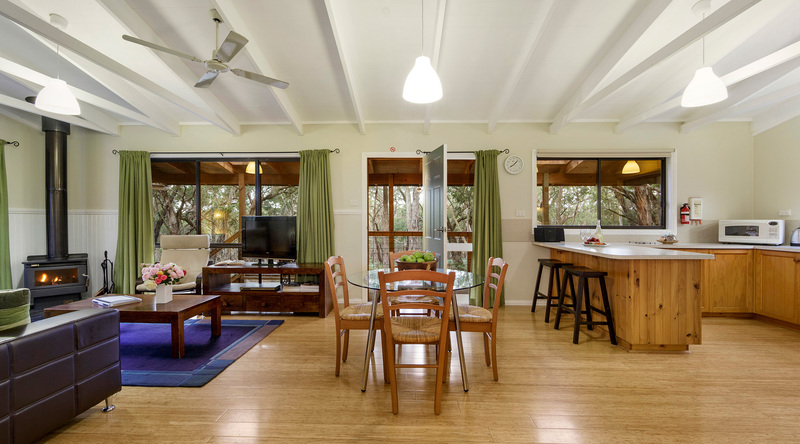 At Countrywide Cottages accommodation Great Ocean Road we can give you the relaxed and memorable holiday that will have you coming back time and time again. Click here for our tariffs, and then contact us to organise your booking! Do you have more than 5 guests? 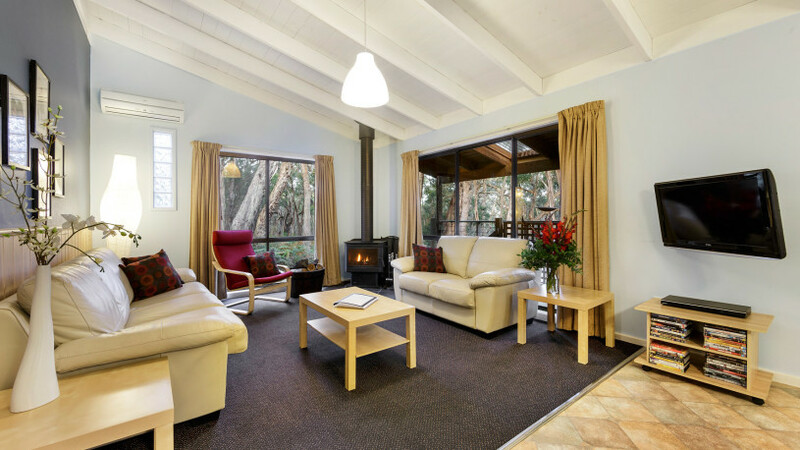 We have 3 other cottages that accommodate up to 7 people – check out the Villa, Igloo and the Canopy. 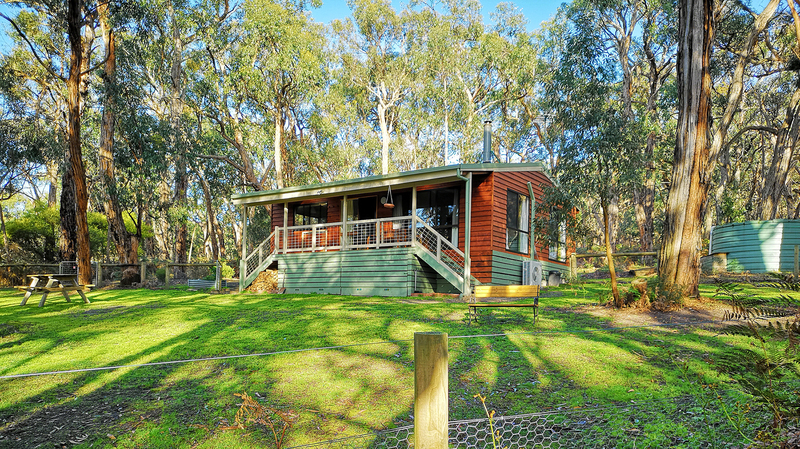 Contact Di on 03 5288 7399 at Countrywide Cottages to organise a truly memorable break away! Votre Petit Maison est magnifique. Merci Beaucoup. Well done with the make over – it is fresh and bright.